The George Cross Falcons Club in Cringila was set up in 1951 to serve the Maltese community that migrated there to work at the steelworks. Photo: Google Maps. 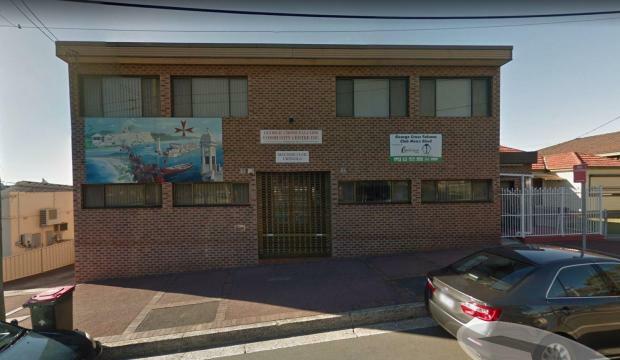 Volunteers at a Maltese Community Centre in Australia were left shaken after being robbed in broad daylight by two masked intruders on Monday. About eight people were inside the George Cross Falcons Community Centre in Cringila, a suburb in the city of Wollongong, New South Wales, preparing for a weekly seniors' lunch event when two masked men stormed in, the Illawara Mercury reported. “We were all doing our Monday morning chores ... we were buttering bread, making coffees and then two men walked in," office worker and volunteer Elizabeth Walker said. "We thought it was a joke. We really thought it was a practical joke because they came in, they were very composed and they were very softly spoken and that's why we didn't register what they were really here for. Volunteers said the two intruders demanded to be shown the safe, which they opened and proceeded to empty, while warning volunteers not to reach for their mobile phones, "otherwise there'd be trouble". The two then took off in a waiting vehicle. No one was injured. However two volunteers were treated for shock. The amount of cash stolen was unknown. "It is a shocking thing because we don't deserve to have this happen to us. We are not people who make millions of dollars, we just make the money to provide the food for the people who come in on a Monday," Ms Walker said. "It'll take us a while to get over it because even our volunteers are not young, some of them are in their 80s, and it's not something you get over quickly. The George Cross Falcons club was built in 1951 to serve the Maltese community that arrived in the region to work at the steel works. It has also served as a welcoming place for ministers, clergymen and others who travelled to Australia from Malta to meet the Maltese migrant community.